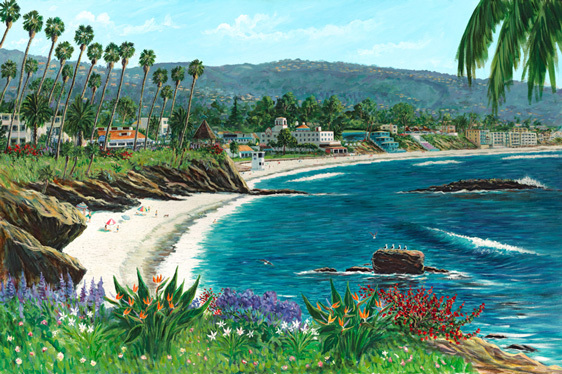 Michael J. Lavery is recognized as one of California’s finest artists. His renaissance approach to life includes painting in oils and watercolor, sculpting, music, writing and sports. It is this diversity that makes him unique among his contemporaries. Michael first started painting at age six. In 1982 he graduated with a degree in Fine Arts from Amherst College. He made the move from Massachussets to the West Coast in 1988, where he met artist Diana Luchetti. They soon married and are now the proud parents of four fabulous sons: Sean, Christopher, James and Steven. Michael has remained faithful to his artistic vision. 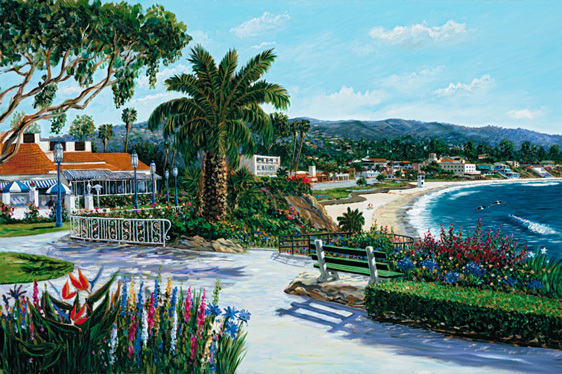 Painting in the ‘Plein Air’ style, he has captured scenes of Martha’s Vineyard, the Maine coast, Catalina Island, the Hawaiian Islands and California’s most romantic vistas. Always concerned with environmental protection, Michael is well known for his donation of the ‘Classic Catalina’, an original oil which raised over $9,000 at the 1996 Conservancy Ball. Innovative by nature, Michael is continuously painting new and exciting originals.